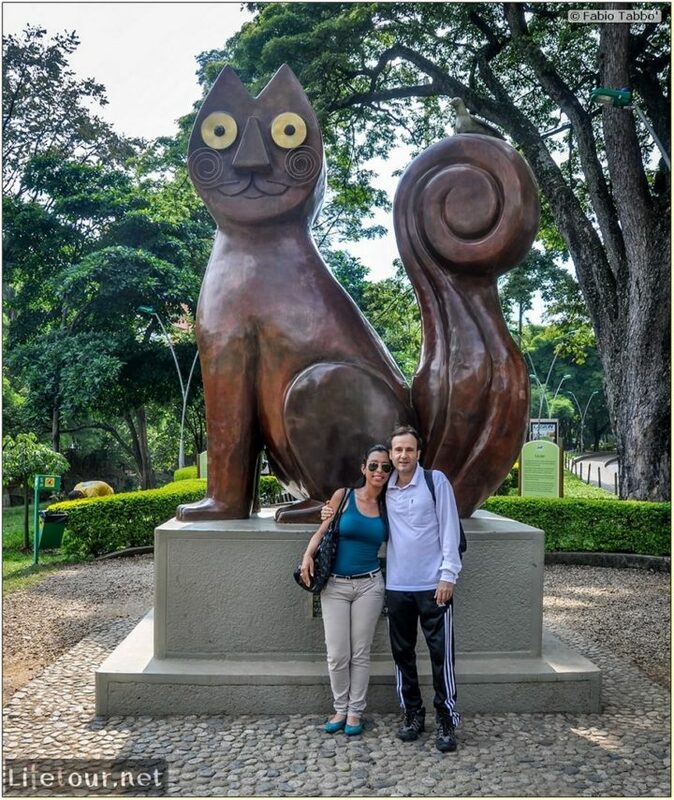 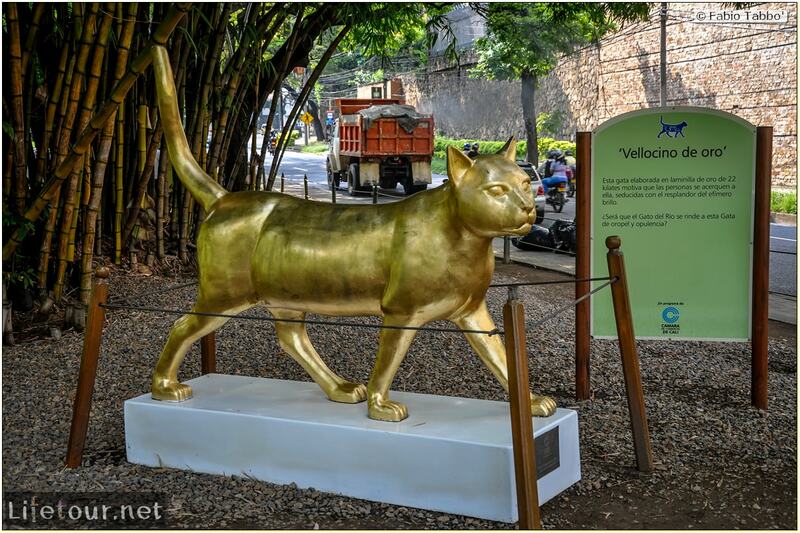 El Gato del Rio is a three-ton bronze sculpture by the late Colombian artist Hernando Tejada. 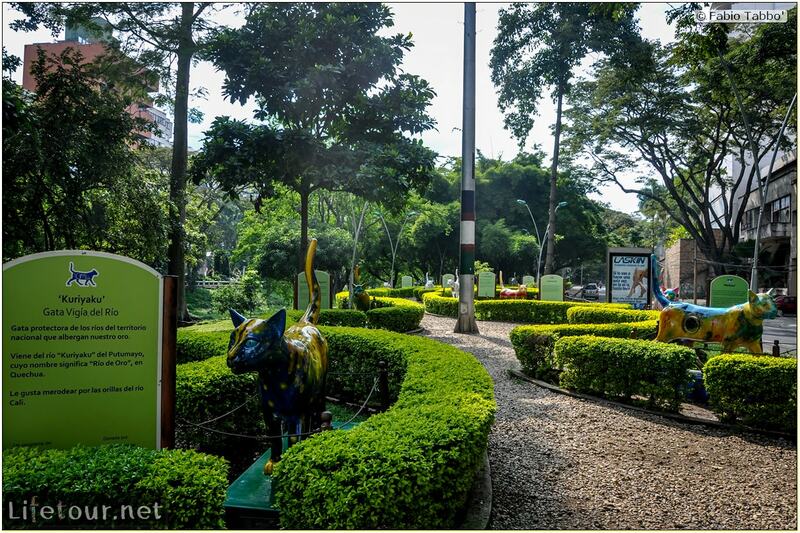 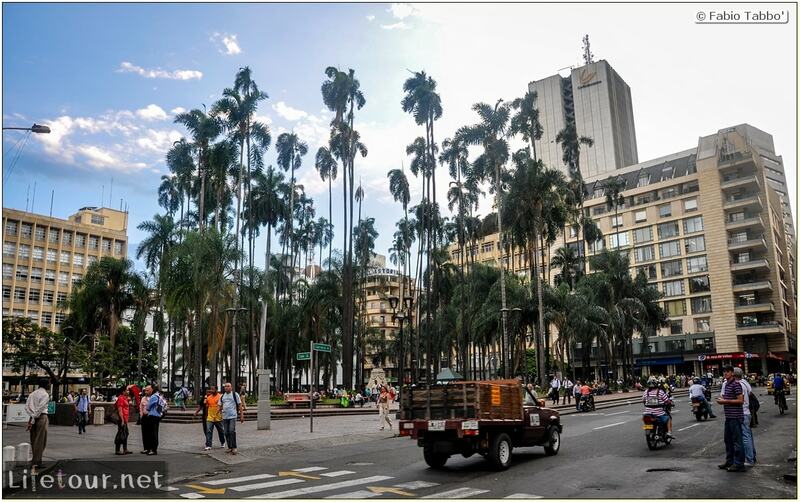 It came to the city as part of a municipal improvement project designed to beautify the banks of the Cali river on the city’s north side. 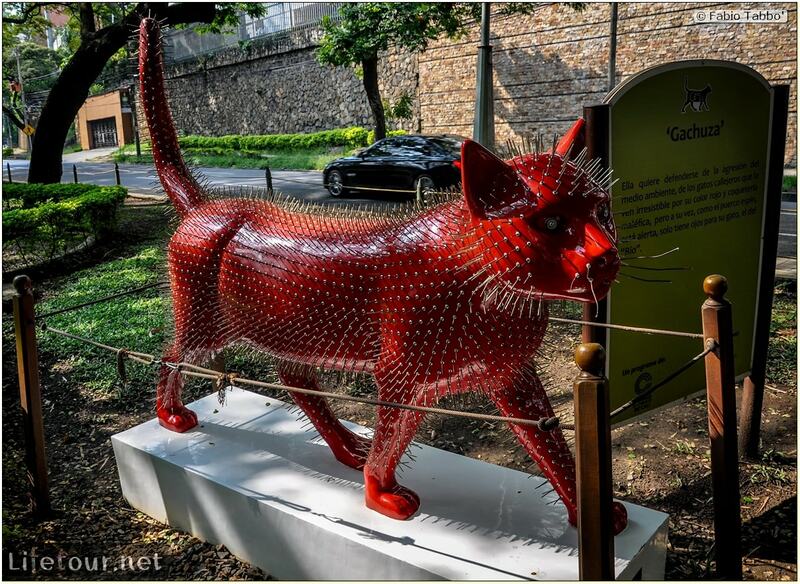 The project expanded to include 15 smaller felines — all cast in the same shape — which other local artists subsequently painted as well.